At 7:30 am, my IPhone alarm blares *BEEP BEEP BEEP! * It’s time to get up, but I roll over for two more minutes of sleep. By 7:45 am I’m fully, although begrudgingly, awake. My roommate and I make ourselves pita sandwiches with Nutella and peanut butter, a delicious albeit unhealthy way to start the busy day. We call an Uber by 8:10 in order to make it to AMIDEAST for class at 8:30. Some days, depending on the whim of Amman’s congested traffic, we make it to class in 10 minutes. Others, likely in the afternoon rush, it could be close to 40. 8:30 am hits and I am in my FuSha class with Ustad Osama. My three classmates and I analyze texts, and struggle to form sentences — but suffer through. We work with Ustad Osama for two hours and then move classes to Dr. Ali. With Dr. Ali, we usually play some kind of game to “activate the material” we just covered with Ustad Osama. In the picture below, we are playing a game of true or false, based on a reading we had to do for homework. After two hours with Dr. Ali, it is time for lunch. 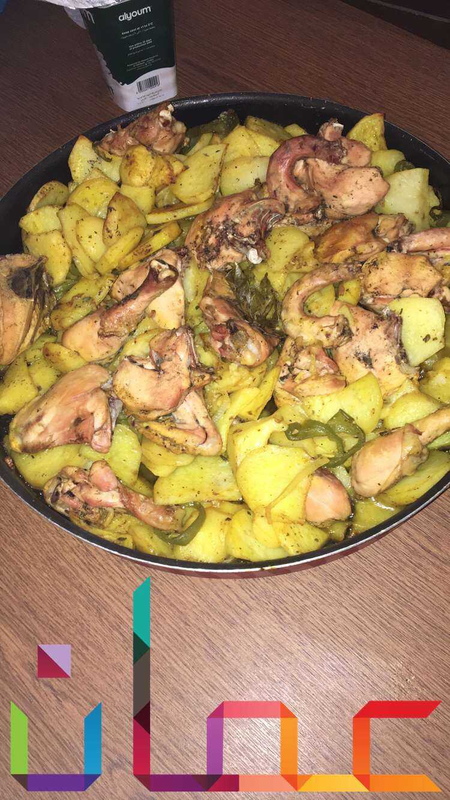 I usually bring leftovers from the dinner my host mama cooked the night before. After a delightful lunch, it's time for Ammiya, or colloquial Arabic class. 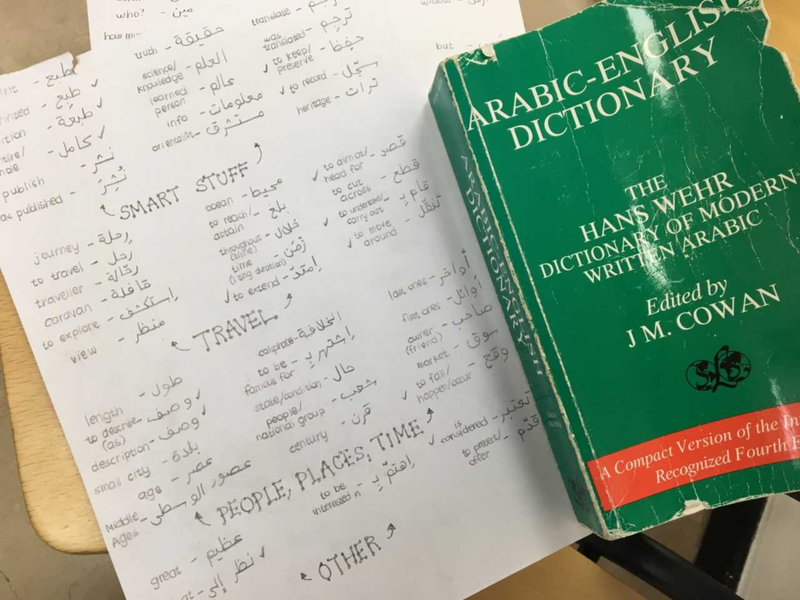 This class focuses on the Jordanian dialect of Arabic which is purely a spoken language — so all of our quizzes and midterms are verbal! At 2:00 pm, with 5 hours of Arabic under my belt for the day, it’s time to head home! I order the Uber and 2.5 Jordanian dinars (the local currency) and 20-ish minutes later, I’m back at home. I use the time in between class and dinner to work on my homework, which usually takes about 1-2 hours to complete. Around 7:00 pm, my host mama finishes preparing dinner. Delicious!